Proudly serving Chicago and the surrounding areas. We strive to make the inspection process as informative and enjoyable as possible. Our inspections and reports are extremely thorough and detailed. We differentiate between items to be repaired right away, those that can wait, and suggestions for future maintenance and upgrading. Buyers are encouraged to attend and participate in the inspection and to contact the inspector at any time in the future. We go well beyond the standards required by the State of Illinois. We make every effort to access all areas when safe to do so, including crawlspaces, attics, and roofs and common areas for condo buildings. We provide advice for maintenance of condo common areas. Our inspections are efficient but not rushed. We also work hard to minimize disruption and stress for the seller, with flexible scheduling and by leaving the home as we found it. We understand that there is time pressure with the home buying process. In Illinois, the attorney and inspection review period is typically 5 business days. Clients and agents should not have to call the inspector to ask when their reports will be ready. 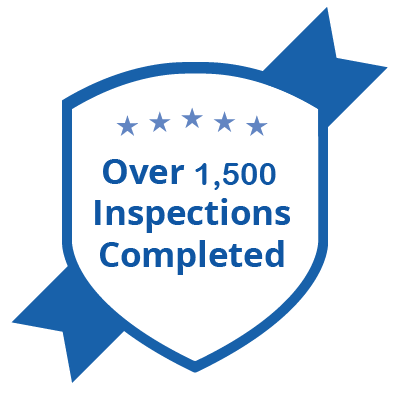 Inspection reports are almost always sent out the next day, including weekends. Radon test reports are usually sent the same day as the equipment is retrieved, including weekends. We are willing to set radon tests early and retrieve them at the inspection if the timeframe allows it. Property Guidance Inspection uses HomeGauge Software to generate our inspection reports. We know that the details in the report will guide your future decisions about the home, so we make sure that we are thorough and provide all of the information you’ll need moving forward. You can access the report from a computer or mobile device the day after after the inspection. Upon receiving the report, you will be able to start using the Create Request List (CRL) feature to assemble a project list for the home that can be easily shared with your realtor. Contact us to schedule a property inspection in Chicago or the surrounding suburbs.